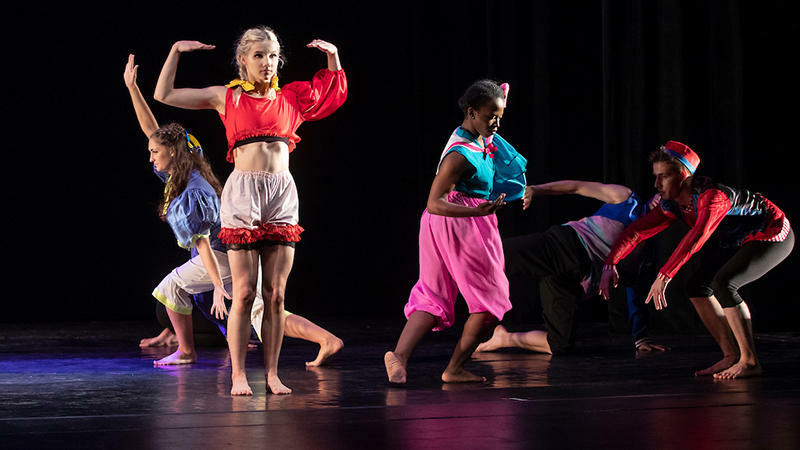 Missouri State University students perform at the 2018 Spring Dance Concert on campus. This March, dance will take center stage at Missouri State University. The university’s theatre and dance department will host the annual American College Dance Association Central Region Conference March 13-16. This year’s theme is “Looking Back, Moving Forward” to honor the 100th anniversary of several dance artists and focus on the legacy and dance research that resulted from their work. Ruth Barnes, conference coordinator and professor of dance at Missouri State, share more about the conference. An interview with Ruth Barnes. Missouri State University Theatre and Dance presents the Spring Dance Concert: Parts of the Whole Thursday-Sunday May 3-6 in Coger Theatre. One of humanity’s most ancient art forms, dance has played an integral role in storytelling, ritual, ceremony, cultural identity, social bonding and creative self-expression. Blending artistry and physicality, myriad styles of dance movement have evolved and continue to emerge.